In further proof that the world has gone mad (or at least is hurtling in that direction at an alarming rate) it’s been reported that a meeting of the Scottish Association of Teachers of Physical Education (SATPE) has just discussed the idea of video games, such as Football Manager, being introduced to PE classes in North-east schools (see the original story here: http://www.eveningexpress.co.uk/news/local/football-manager-could-become-part-of-pe-homework-at-schools-1.701679). That may or may not be true Len, but why should physical education classes be concerned with children understanding football’s role in society? I would have thought that maybe playing some football might be an endeavour a little closer to the core purpose of PE. In praise of using Football Manager in lessons, Mr Almond says: “You’re planning, directing and making decisions and if that helps a young person understand the game, that is very good.” Very good except for the fact that it’s not really helping them understand how to actually play football, on a pitch rather than a screen. The important thing, Len assures us, is that “we have got to attract young people to sport and physical education.” On this point he and I are in complete agreement but I’m still struggling to understand how playing Football Manager at PE does that. Of course, it might make attending PE class more attractive to some kids but then presumably so would offering free doughnuts. As far as I’m aware, the free doughnuts idea is not official policy of SATPE. There’s no doubt that for many children (and indeed a lot of adults) playing computer games is a far more pleasurable experience than playing sports. I played a fair amount of Football Manager when I was young and so I appreciate how compelling and addictive it can be but I spent a lot more time outside playing football and other sports. Most children are naturally inclined to run around. Give them some half-decent facilities (and I know that’s a challenge in many areas but it doesn’t need to be the latest generation artificial pitch), an enthusiastic, and preferably knowledgeable, teacher, a ball/racquet/hockey stick and away you go. We all know the huge problems of childhood obesity in the UK and many other countries. The causes are many and complex and there’s no single or simple solution. Physical education should be taken seriously as part of the school curriculum and sadly that doesn’t always appear to be the case. Introducing Football Manager or other computer games to PE classes would only serve to make them a joke and not a very funny one. The makers of the game were laughing though. 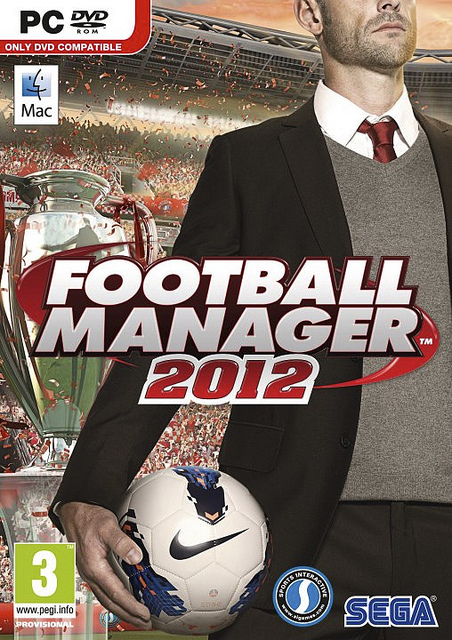 Last night they tweeted: ‘Football Manager as #homework? Children all over the world currently asking their parents to move to Aberdeen.’ Except perhaps those children who would still prefer their physical education to involve playing some sport. This entry was tagged Aberdeen, Football Manager, Len Almond, PE, physical education, Scottish Association of Teachers of Physical Education. Bookmark the permalink.